Starting an ASGA Chapter Has Its Rewards! How about a free trip somewhere? If you think saving 15 percent on your insurance is a life-changing moment, you should really take a close look at the rewards offered when starting a new chapter of the American Singles Golf Association (ASGA). If you're looking for a "new life," this could be your passport. SinglesGolf is all about having more fun and getting more out of life with the new friends you'll meet. Since 1992, over 25,000 singles have joined ASGA. What makes us different than other singles organizations? First, we're real people, playing real golf courses, meeting socially at every opportunity. Although we use the internet for a multitude of purposes, the service we provide to members in terms of meeting other members is not through the internet but through regular events, membership meetings, golf outings and socials, hosted by chapters each month. And the purpose is to make this happen throughout the entire year, not just the golf season. A successful chapter is the one that rewards its members with opportunities to meet more singles and play more golf. You cannot put a price on friendships. It's highly common in our organization for someone to start a new chapter and within six months have 50 people they know on a first-name basis. Yes, we have some incentives for making all this happen sooner rather than later. Your success in creating a new ASGA chapter will not go unrecognized. Our policy is that we do not “pay” individuals for creating local chapters, however, we will provide some great incentive awards. We don’t have any toasters or microwave ovens, but what we do have is more of what you want . . . meeting more singles, playing more golf. Start a new chapter and we'll pay for your standard registration at one of our many Multi-Chapter Golf Weekends throughout the year. 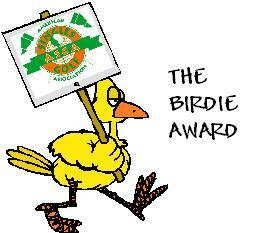 AWARD: Complimentary “Standard” weekend golf package at any upcoming Multi-Chapter Events in the continental U. S. (see www.SinglesGolf.com/events for listing). With the standard packages, you'll have a roommate. Plus, we’ll give your chapter, or another “hard working” individual, $100 credit towards a similar trip! If you wish to split the awards between yourself and 2-3 other who helped you, that's your call. Does your schedule allow for a more rapid development of a new chapter? 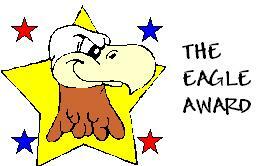 If so, you could earn THE EAGLE AWARD. AWARD: Complimentary “room by yourself” weekend golf package at any upcoming Multi-Chapter Event in the continental U. S. (see www.SinglesGolf.com/events for listing.). Plus, we’ll give your chapter, or another “hard working” individual, $200 credit towards a similar trip! If you wish to split the awards between yourself and 2-3 others who may have helped you, that's your call. * All incentive awards must be used within eighteen (18) months after earning them. 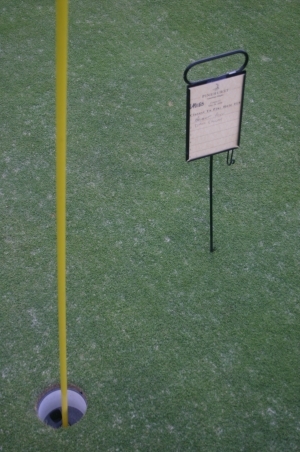 Closest to the pin doesn't count. You must hit the numbers as shown in order to qualify. No prorations! Also, some cities have individuals who have joined as an At-Large Member or joined the "chapter" prior to its formal existence and/or becoming active. Those members do not count towards the number of members required to attain certain rewards. You will know who these members are when your Application to Start an Affiliate Chapter is processed. You can only be eligible for one (1) incentive award.